In September last year we were granted funding by Centrelink to go towards a two-year project in the remote town of Wilcannia. Project sustainability is extremely important to us at Heaps Decent so we were very excited to learn of the project when we attended the launch for the Minister for Social Inclusion’s Report in September last year. 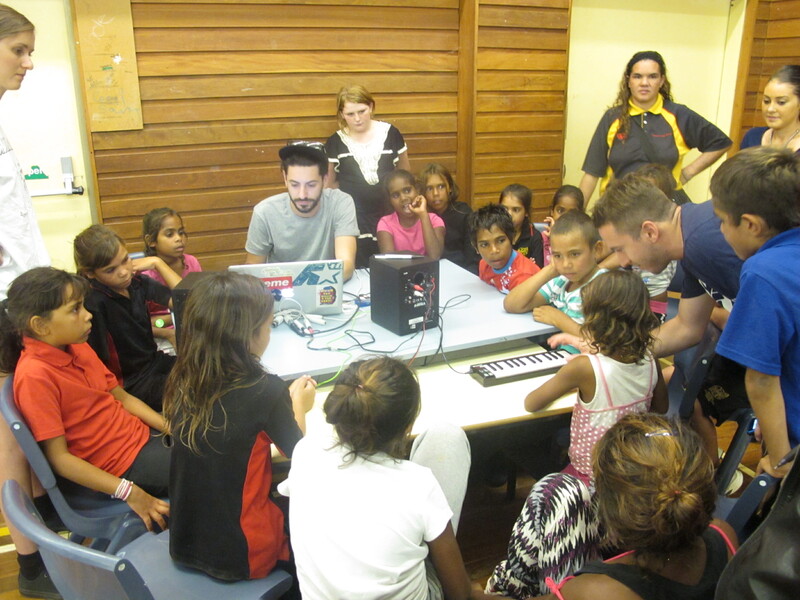 Since the inception of Heaps Decent, it has always been a goal of the organisation to head out to Wilcannia to facilitate workshops. The project consists of quarterly workshops at various locations with kids from around the town. 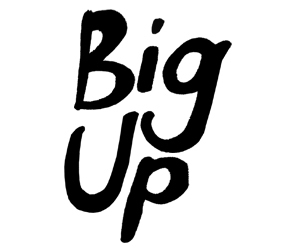 We recently carried out our first of the 8 lots of workshops with great success. I made the journey along with Levins, Adam Bozzetto and Kristy Lee and it was a pretty incredible experience that I feel privileged to have been a part of. With a population of around 500 people, Wilcannia isn’t a walk in the park to get to! The journey started with a flight to Broken Hill where we stayed the night in the hotel where Priscilla, Queen of the Desert was filmed (incidentally also one of the cheapest hotels in town!) To our dismay, the waterslide in town was closed and the following morning we made the final leg of the journey – a two-hour drive out to Wilcannia, leaving behind our Broken Hill waterslide disappointment and Kristy’s mobile phone reception. Due to all the flooding in the area it was surprisingly green for the desert and after a hassle free trip, we arrived in Wilcannia and met with our eyes on the ground, Eddy Harris from Wilcannia Arts. Eddy is a local First Nations elder, who grew up in Wilcannia and we’re fortunate to be working with such a great guy! 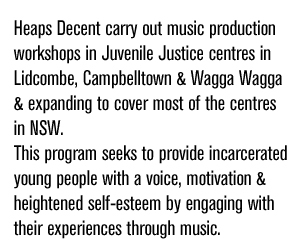 The first afternoon saw us stop in at Wings Drop-In Centre where we had a brief introduction to some of the young people and wasted no time in getting a few recordings underway. Tony and Candela who run the Wings Drop-In were excited to see us and were very hospitable over the following days. 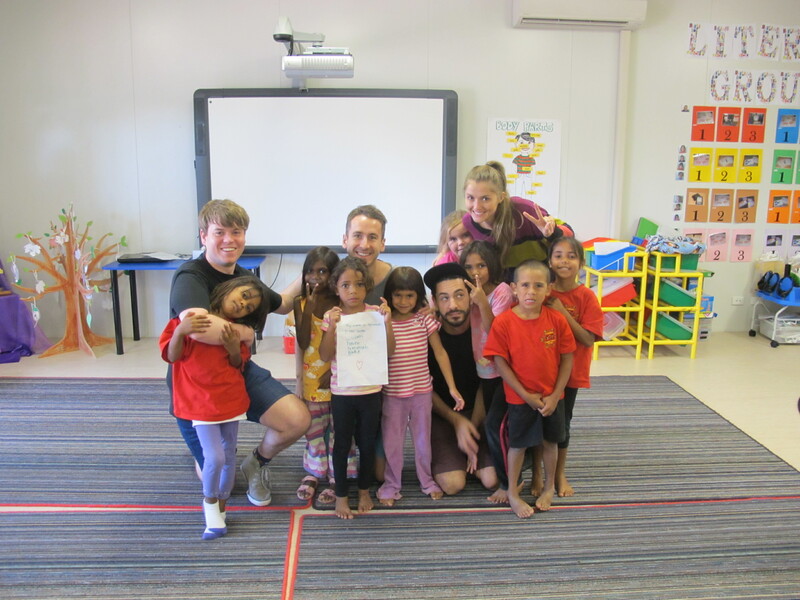 Our first full day in Wilcannia commenced with workshops at St Therese Community School, where we spent the morning working with a few classes, the kids we worked with ranged in age from around 5 to 8, they were incredibly cute and took a lot from the sessions! Here we put together the songs “Dinner Time” and “We come from Wilcannia”, which both feature in the video which are some of our best songs to date! 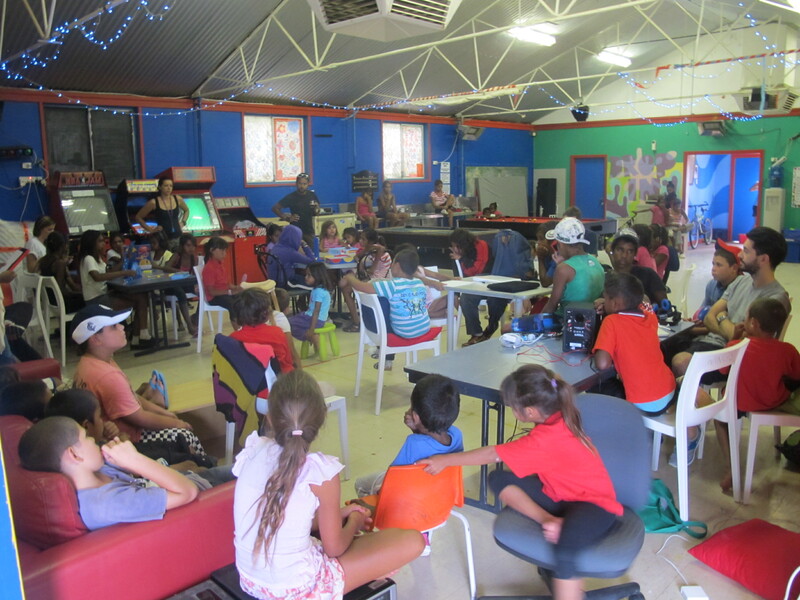 In the afternoon we set up our travelling Heaps Decent studio at the Wings Drop-In Centre, which had a fantastic vibe amongst the chaos! So many smiles and enthusiasm awaited us and we set up for an afternoon of recording. We saw many of the same faces that we had seen in school earlier that day and we were able to elaborate on the work we had done that morning to get some more great recordings. The afternoon was filled with songwriting and dance challenges on the Nintendo Wii. At one point in the workshop I had a 5 year-old girl sitting on my shoulders while I was recording another two girls’ raps! A little worn out to say the least, we headed back for our final Wings workshop for the week where we nailed a couple more songs; one particularly worthy of note was a song by Owen, which we’ll post in the next few days. After wrapping up at Wings, we headed back to Tony and Candela’s place where we exchanged stories over an extremely satisfying bolognese! 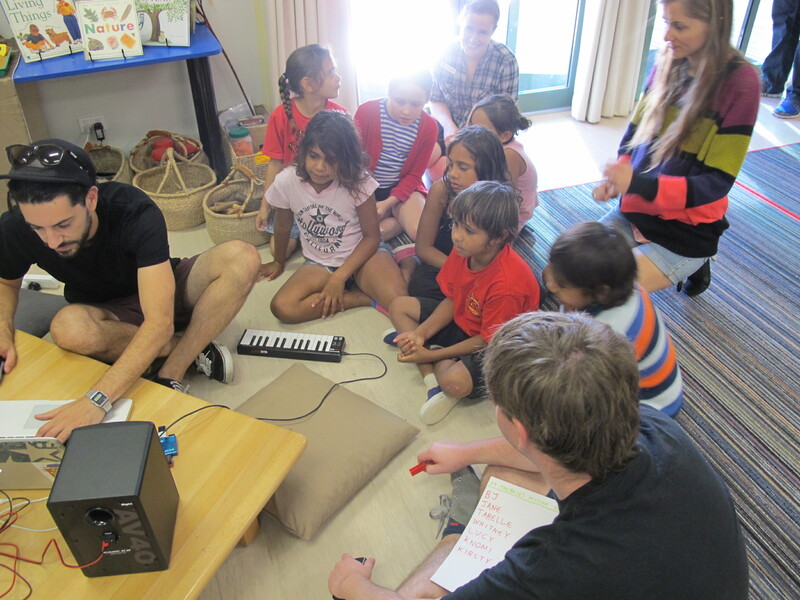 The following morning we stopped in at the schools to drop off the finished songs, which Boz had tirelessly collated that morning before setting off on the journey back home! It was a trip I won’t forget in a hurry and we hope you enjoy the wonderful music that resulted from our workshops.